Palestinian. Christian. Pastor. Theologian. Father. 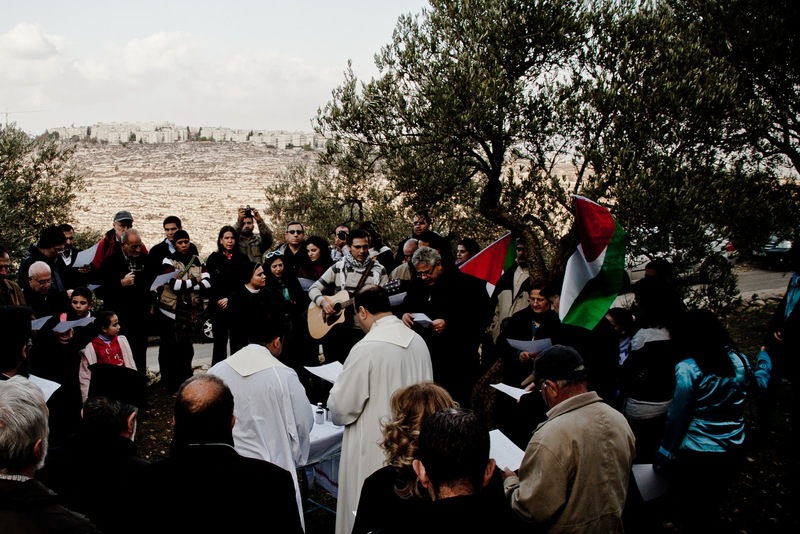 For the last few weeks, some of the residents of Beit Jala, along with few peace activists, have been gathering for prayer in the land, in the midst of their olive trees, in a symbolic faithful manner. The prayer takes places every Friday, and is led by Fr. 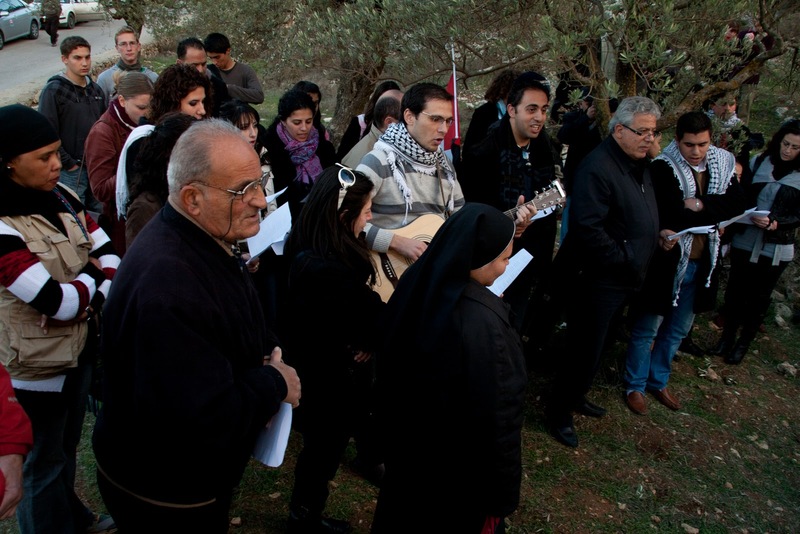 Ibrahim Shomali from the Catholic Church in Beit Jala. Taking part in a Catholic Mass has been enriching. We sing (I played the guitar the last two times), pray, read the Bible, exchange the peace of Christ, and eat and drink the body and blood of Christ. We manifest our unity and solidarity with one another, and remember that Christ who unites us is with us. More importantly, we pray for justice. The people participating are hurt. They cry to God to intervene. They cry for justice. 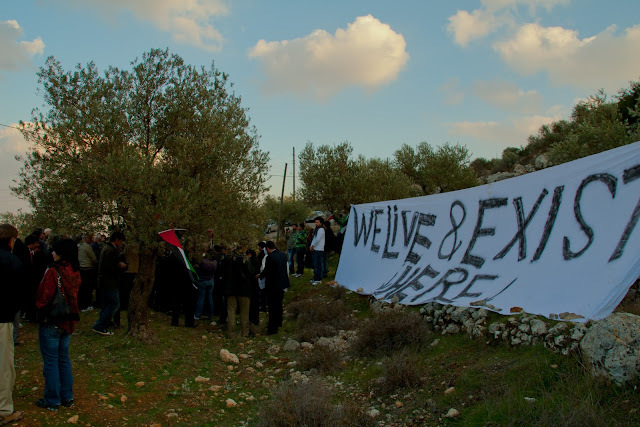 The theme of the gatherings have been: "We live here and we exist here". A reminder of the centuries long Christian presence in this land. People were determined, yet desperate. One of my friends, who is set to lose land in this move, expressed his frustration to me. "First they took the sea from us, then they prevent us from going to Jerusalem, and now they are taking our olive trees!" 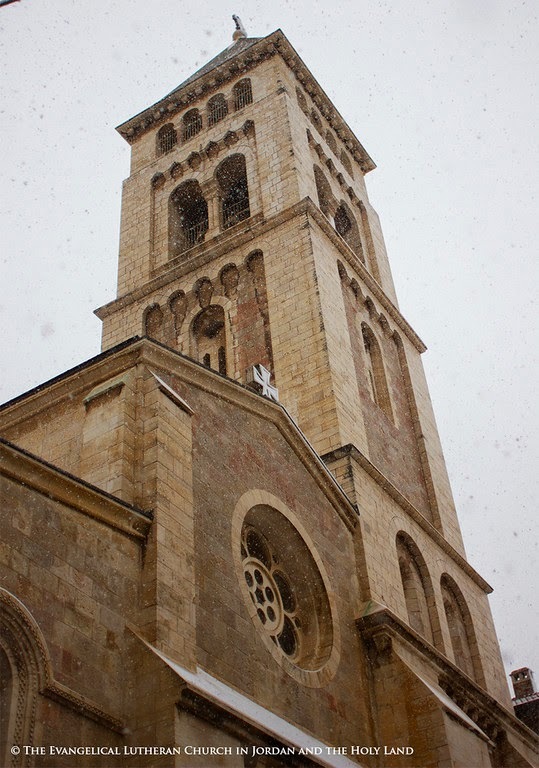 Christmas in Zababdeh. It was worth it!